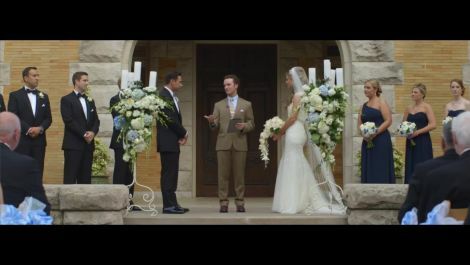 Weddings Filmmaker Jarod Lucas always has always had a camera in his sweetheart Rebekah Fairburn's face, and when he showed her this film, she was surprised to see footage she didn't even know existed. 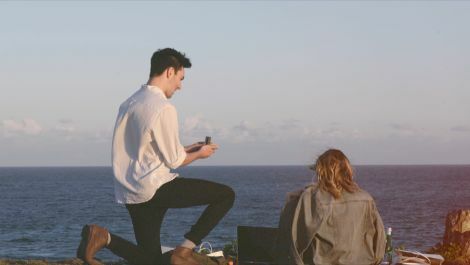 But, Rebekah became overwhelmed when she realized the video was Jarod's proposal. 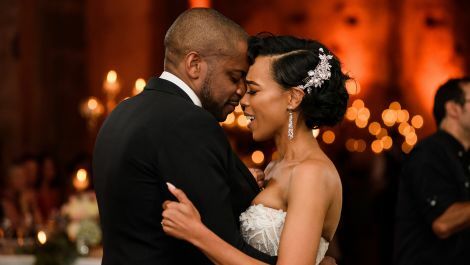 Celebrities Jazmyn Simon and Dulé Hill tied the knot in Antigua, Guatemala, and the couple's friends Jaleel White and Allison Janney gave the sweetest toasts! For more about the couple's videographer check out Evolucion Cinema. 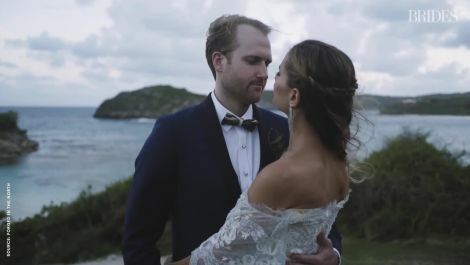 Weddings This NYC-based couple headed home to Jamaica, where they both grew up, to marry at the groom's family property in Saint Ann. 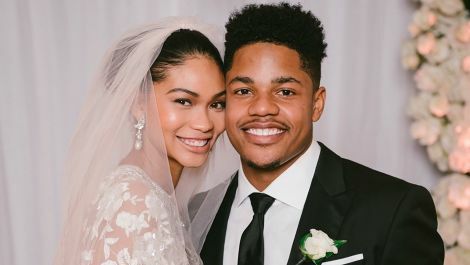 Celebrities Congrats are in order for Chanel Iman and Sterling Shepard! 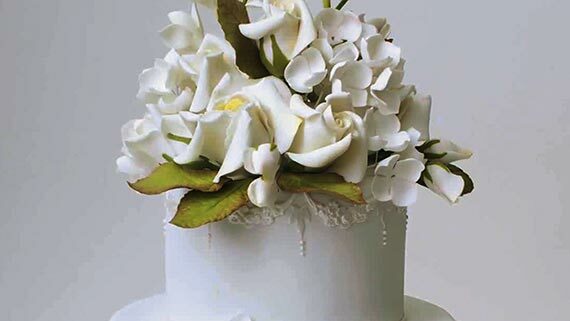 The couple—she's a supermodel; he's a wide receiver for the New York Giants—married on March 3 at an iconic hotel in Beverly Hills. Weddings Melissa Bruckman and Reid Covington traveled to Antigua and Barbuda for a weekend-long wedding celebration in the islands with their friends and family. Celebrities Pod Save America's Jon Favreau and Emily Black exchanged vows they'd written themselves. "Writing your own vows when your husband-to-be was Obama’s chief speechwriter is not an easy task," Emily said. "I put a lot of thought and effort into my vows because I knew Jon’s would be perfect." 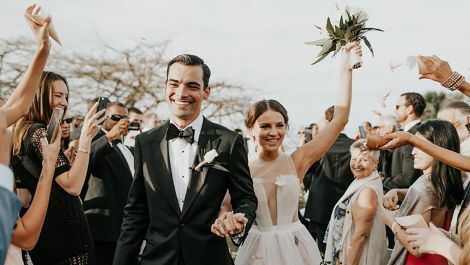 Weddings The celeb couple, Nicholas Gonzalez and Kelsey Crane found a new venue—and redesigned their entire wedding!—just three months before the big day. 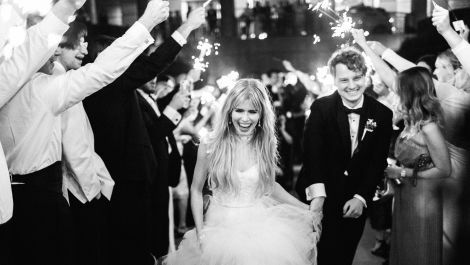 Celebrities Carlson Young, of MTV's "Scream," and Foster the People's Isom Innis tied the knot at a music-filled ceremony in the bride's Texas hometown. Celebrities Shaifali Puri, toasts to her new husband, The Daily Show correspondent, Aasif Mandvi. 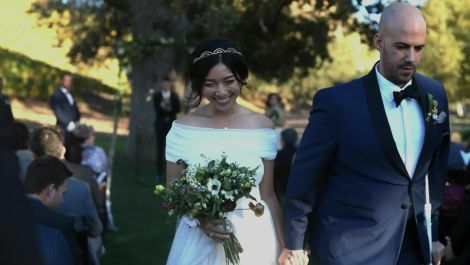 Weddings When you tie the knot at Los Angeles hot spot Hinoki & the Bird, you need a talented videographer to capture every detail. 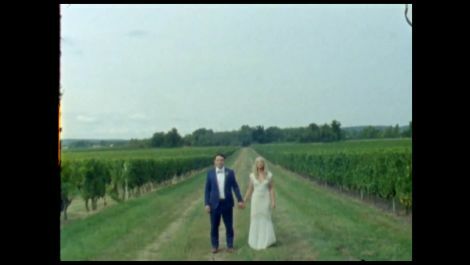 Luckily, The Brides and the Bees showed up at Kacie and Adam's wedding and shot the most amazing video. Weddings Molly Goddard and Joel Jeffery, the founders of Demsond & Dempsey, a pajama brand, said "I do" down under. Phoebe Galloway Films captured every perfect moment of their celebration. Weddings Mica's father chokes up as he delivers an emotional speech at her wedding. He honors love, family, and all four grandparents who were able to attend. 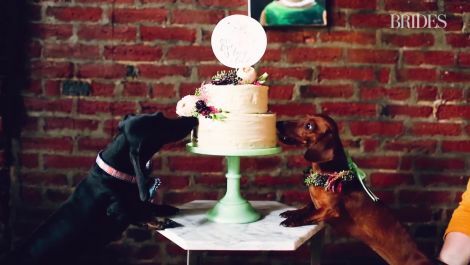 Weddings What do you get when two wiener dogs get married? 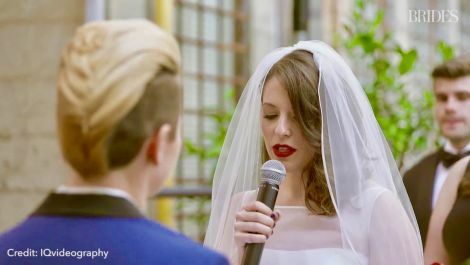 The cutest wedding video imaginable. Danfredo Photos and Films threw the most amazing party for the newlywed Dachshunds, Hudson and Chelsea, and definitely captured every adorable detail. Weddings When you get married at the Kianna Lodge in Poulsbo, WA, you need a talented videographer to capture every stunning detail. 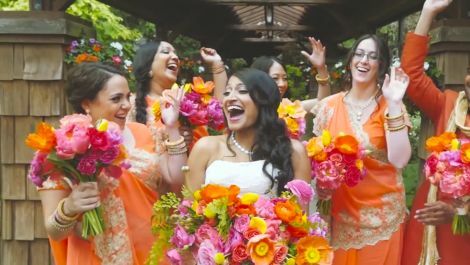 Cabfare Productions joined Anita and Abhishek for their special day and definitely caught every moment. 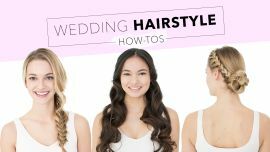 Dresses When you have a destination wedding in Cabo San Lucas, you need a talented videographer. 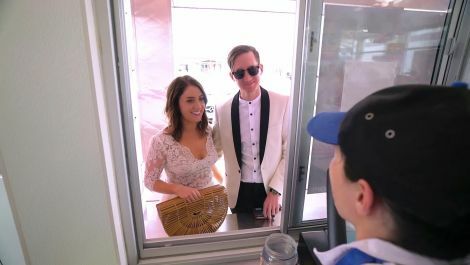 Nicole and Tony headed South of the Border for a weekend-long party at The Cape, a Thompson hotel, and Forged in the North captured every stunning moment. 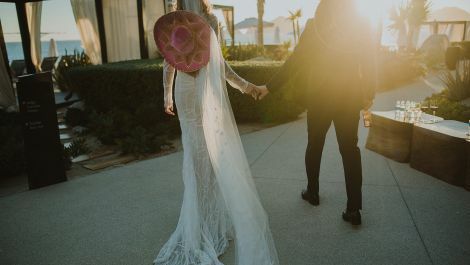 Weddings This blogger's intimate DIY desert wedding was absolutely perfect. 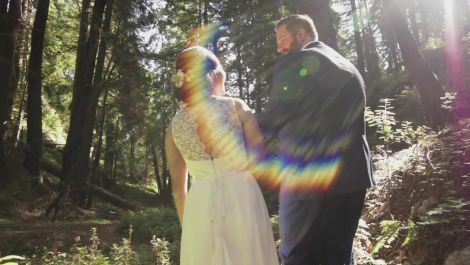 Weddings When you have a wonderful woodland wedding in Big Sur, you definitely need a talented videographer to capture every stunning detail. The Cana Family joined Adam & Monika for their special day and absolutely delivered by capturing every memory. Weddings The Honey & Silk blogger threw one stylish Provence-themed affair in Southern California. 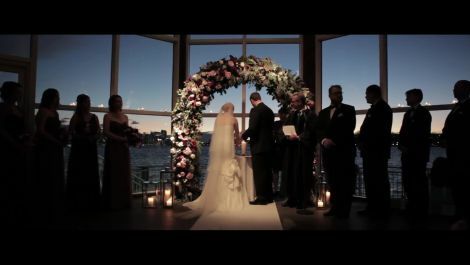 Weddings When you get married at New York City's Chelsea Piers during magic hour, you obviously need a master videographer to capture every epic detail. NST Pictures joined Katherine and Matthew for their special day and totally delivered by capturing every memory. 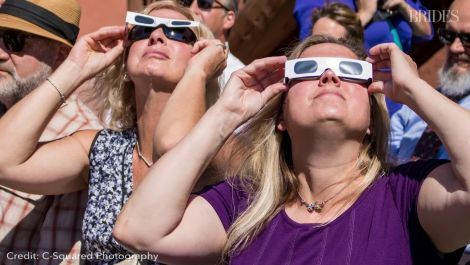 Weddings Colorado couple, Michelle Hoffman and Cale Bibb got married during the solar eclipse. 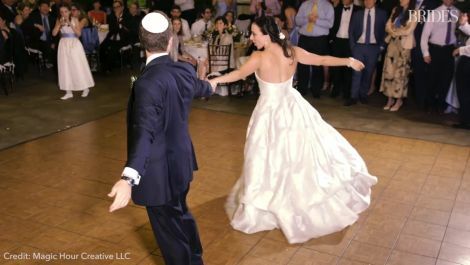 Celebrities When you get married, you need a talented videographer to capture the celebration. 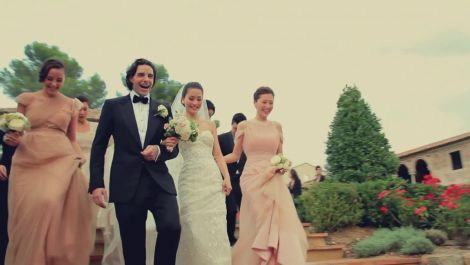 Little Tree Studios joined Ashely and Noam for their special day at The Four Seasons in Scottsdale, Ariz. and caught every special moment. 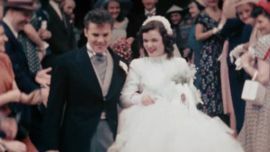 Weddings When you get married at New York City's St. Regis Hotel, you need a talented videographer to capture every metropolitan moment. Fiore Films joined Lizzie and Jake for their special day and definitely caught every memory. 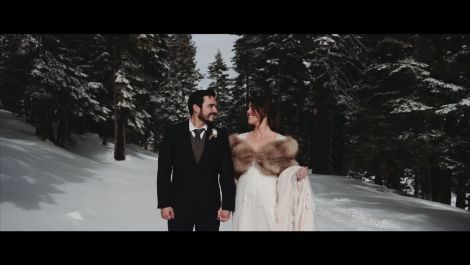 Weddings When you get married outside in the snow at Lake Tahoe, you need a talented videographer to capture every magical moment. Henry Weddings joined Stephanie and Justin for their special day and definitely preserved every memory. Dresses This breathtaking elopement video was shot on an iPhone 7 in the Moab desert. Can you believe it? 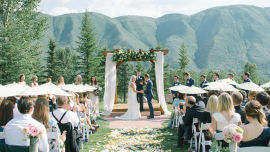 Weddings When you have a charming spring wedding at Highline Car House, you need a talented videographer to capture every gorgeous detail. Little Tree Studios joined Andrea and Andrew for their special day and definitely caught every memory. Weddings When you have a stunning fall wedding at The Aquarium of the Pacific, you need a talented videographer to capture every glistening detail. 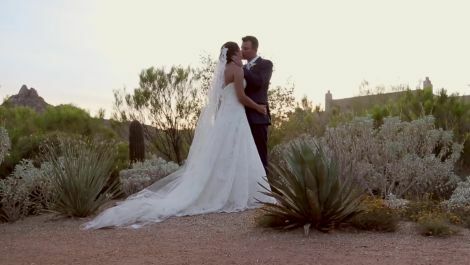 By Design Films joined Jennifer and Jason for their special day and definitely caught every memory. 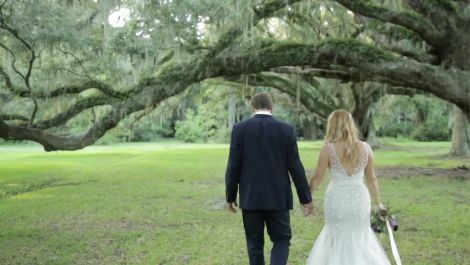 Weddings When you have a magnificent wedding at Magnolia Plantation & Gardens in Charleston, you definitely need a talented videographer to capture every stunning detail. Dock House Digital joined Jenna & Luke for their special day and nailed it, capturing every memory. Weddings When you tie the knot somewhere as gorgeous as a French chateau, you obviously need a master videographer to capture every epic detail. 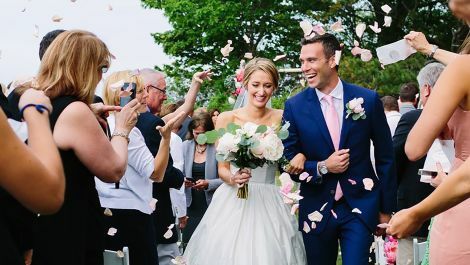 Best Day Productions joined Kate and Paul for their special day and totally delivered by capturing every important memory. Weddings After trading vows in a traditional Greek ceremony, Katherine and Chris invited their friends, family, and Paperweight Films to join them for a party at Cipriani. 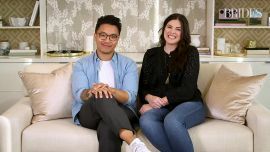 Check out the retelling of their glamorous day here. 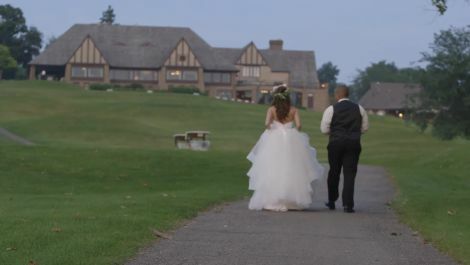 Weddings The gorgeous Cairnwood Estate played host to Sam and Jon’s summer nuptials, and Florescio Films documented the event from start to finish. Don’t even try to tell us you don’t think it looks just like a castle! Weddings Studio Artifice expertly shot each and every glamorous aspect of this chic Parisian wedding at Chateau Diter. Weddings Little Tree Studios joined Kelsey and Dillon for their spring nuptials at a Pennsylvania Country Club, where the bride and groom made it official in traditional style. Everything from the bride’s ball gown to the centerpieces were totally timeless. 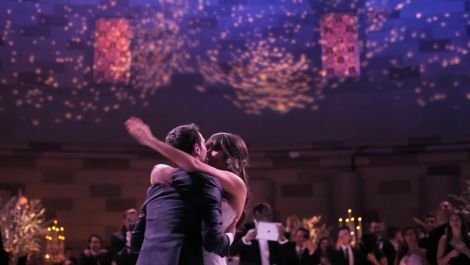 Weddings McKenzie Miller joined Ariel and Marshall at New York City’s famed Gotham Hall and captured every extraordinary detail of their formal nuptials. 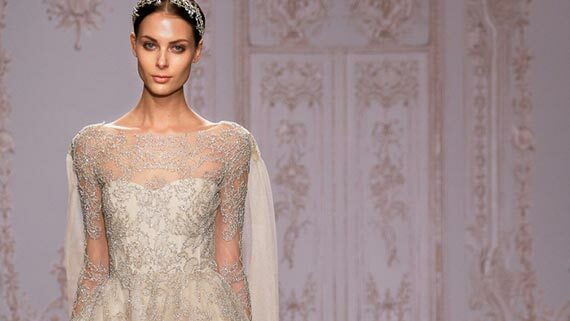 From the bride’s detailed gown to the couple’s stunning ceremony structure, there was a ton to see at this winter celebration. And, as the groom rightly proclaimed, the reception was all about fun. Weddings Stevy and Henry invited friends and family to join them in Mt. 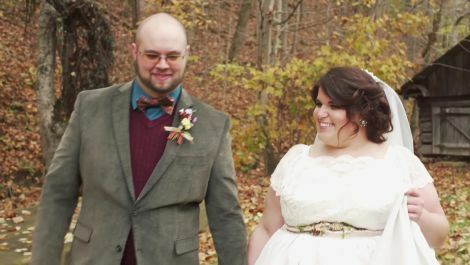 Vernon, Kentucky, for their unique nuptials, which included antique printed dresses and tons of autumnal inspiration. 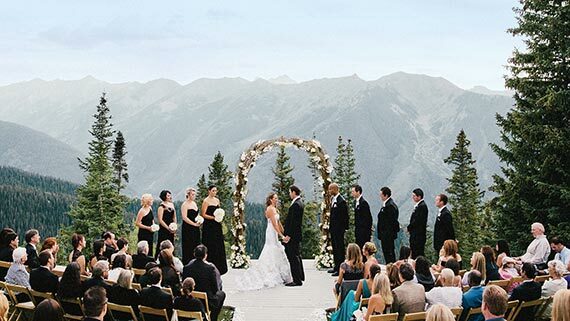 Happy Camper Weddings captured every special second of their October celebration. Weddings Russell John Films recorded Lacey and Cody’s beach wedding at Levyland Estate and then joined the couple and their guests for a reception that featured beachy touches.